For about half a year I enjoy to transport my photo equipment with the Eckla-Beach-Rolly-Pro Edition II photographers. I ordered the cart at the online shop”Augenblicke eingefangen“. The Eckla Beach Rolly -Pro Edition for photographers is advertised as the ideal transport assistance for heavy photo equipment and can have at a weight of just 4.4 kg cope with a maximum load of 70kg. More than enough also for a big photographic equipment. The problem is then more available space with a surface of 47cm x 39cm (without the additional charging cradle). This is very handy for the trunk of the car, but sometimes is a little tight for larger photo luggage . But to do so an additional charging cradle is included in the package. 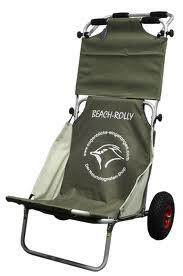 The Eckla Beach-Rolly for photographers as the standard model consists of a sturdy, non-rusting aluminum construction. The large wheels, which are provided for more capacity with a steel shaft, instead of the standard aluminum axle prevent reliably the sinking in loose surfaces such as sand and thereby allow easy transport. Whether the wheels with alloy wheel and roller bearings provide more ride comfort or simply are more durable over longer distances (5 km return trip, are not a rare event), is beyond my knowledge. But it will have been a reason that these wheels replace the original wheels. Any photo backpack can be attached on the Rolley till Lowe´s Lens Trekker 600 AW. Additionally the Gitzo tripod, etc. camouflage tent. Almost 180 Euros for the photographers version Eckla Beach Rolly appear at first glance, quite a lot, but this price is justified given the quality offered. What I additionally had to buy was a strong strap from the hardware store. The integrated upholstery is added into this version with an additional windscreen cover and ensure a high level of comfort. For the session at the photo hide or at rest, the Eckla Beach Rolly is unfolded very simple and reveals a comfortable seat. This is very handy! The quality of the product of Eckla is very good overall. Said that, I must stress the point that I found during the assembly that one of the (plastic) mounts for the axle has largely decomposed (broken down) in the box. Fortunately, a short notice to my online retailer “Augenblicke eingefangen” and they send me a spare part for replacement. Nevertheless, the incident shows that this construction is probably not the best possible solution. Another problem used to be the wheel lock. A few weeks later I noticed that one of the connecting screws (5mm screw with blind mother) for the aluminum frame was gone. I was sure, that all the screws were tightened properly (not too tight). The corresponding screw had already been resolved. So you should examine bolts for tightness for safety reasons after every 2nd Excursion. In my opinion somewhat unsatisfactory. Again a call to the online store “Augenblicke eingefangen” and they cared for fast replacement. The service and helpfulness of “Augenblicke eingefangen” must be strongly recommended.